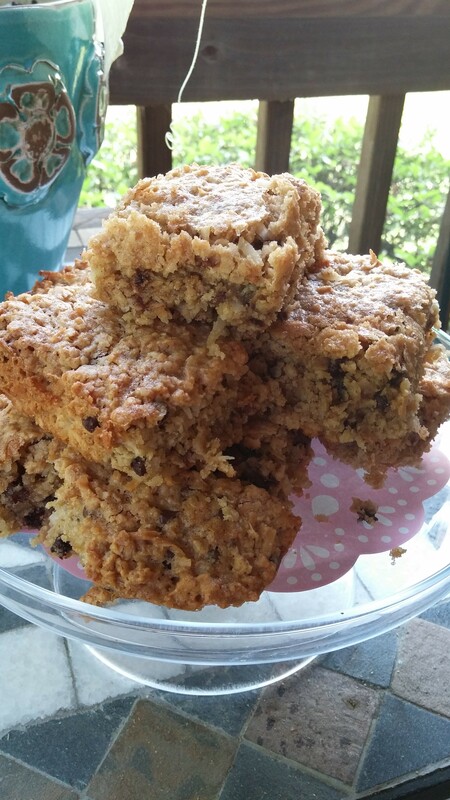 Oatmeal Bars are a great go to treat! They are wonderful for a quick breakfast treat too! 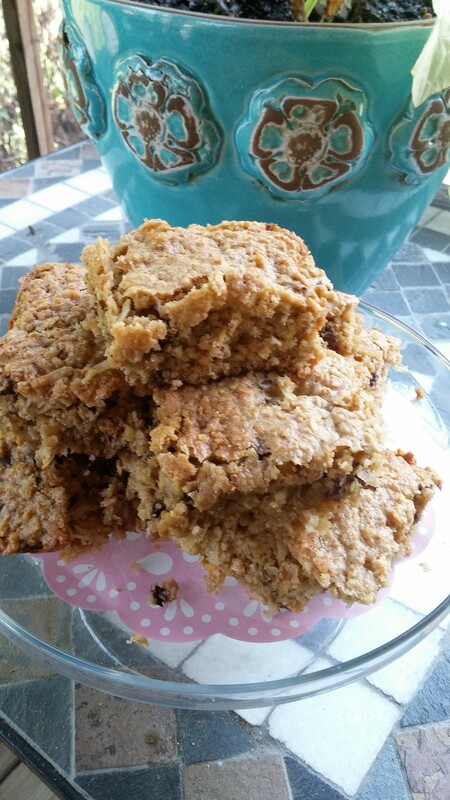 I have made many different kinds of Oatmeal Bars over the years but these are the best so far! 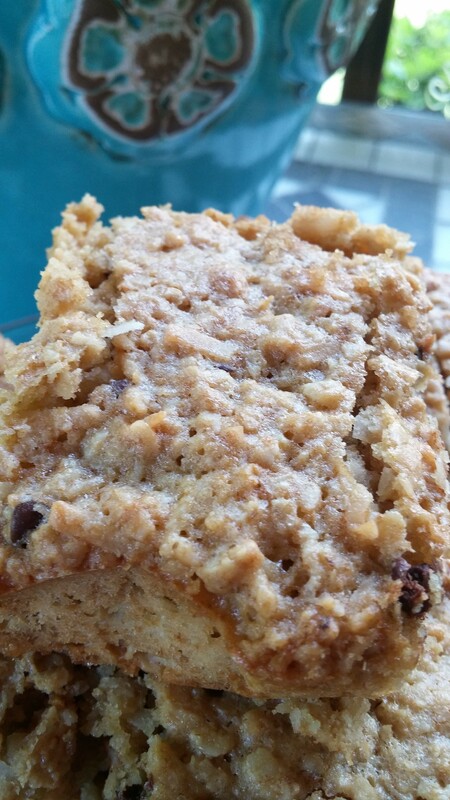 This recipe makes a thick, moist bar! I adapted this from an epicurious recipe. epicurious.com is a really good resource for recipes! Visit their site to find something new to try! Enjoy your day! Mix the cooled butter, eggs and vanilla until well blended. Add the rest of the ingredients and mix well. Pour into a 9 inch square baking pan that has been lined with sprayed parchment (this steps makes for easy removal). Bake at 350 degrees for 20 to 25 minutes until golden brown and a toothpick inserted in middle comes out clean! ENJOY!